Building Highly Precise Microfluidic Devices with State-of-the-Art Digital Laser Technologies Microfluidic Devices | Fabrico, A Division of EIS, Inc.
With the advent of more cost-effective manufacturing techniques, microfluidic devices are being used as diagnostic tools to test small medical, food, or environmental samples. From blood samples, electrolytes (e.g. sodium and potassium) and arrays measuring hematocrit/hemoglobin, blood gases, coagulation, drug screening, and cardiac markers can be measured. These portable devices make many "in the field" applications possible and are at the forefront of point-of-care testing, which allows patients with chronic medical conditions to monitor themselves at home. Point-of-care diagnostic tools have become an attractive investment sector of healthcare in recent years. The instant readout of results from a combination of assays/reagents with the bodily fluid in an office environment is the draw. The process allows manipulation of fluidics through micron level channels; this provides the conduct of several tests using small quantities of bodily fluid in a very short time. 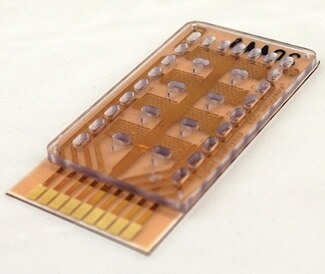 Behind these exciting developments are the readers and microfluidic cartridges. 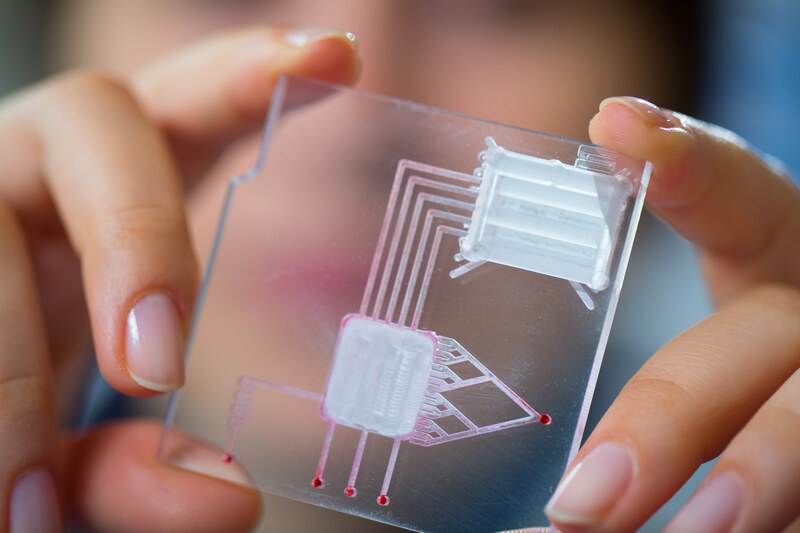 Microfluidic cartridges are card-like components which, depending on the design, may act as (1) a metering or transportation device for the fluids, or (2) perform function #1 plus serve as the reservoir of the assays or reagents. Some cartridges are energized with low voltages, and some simply use capillary action. The components of cartridges have evolved from silica to optically clear medical grade plastics. At Fabrico, the choice of material for microfluidics cartridges are predicated on properties of the reagents and effective inherent design parameters from the specific reader for the cartridge. 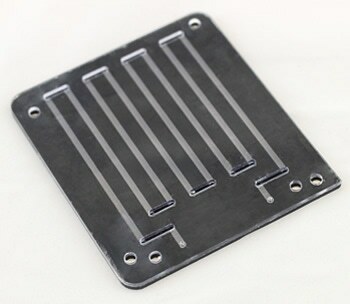 In addition to helping with the product design, our manufacturing experts can create a repeatable, high-volume, high-speed process that meets specified performance characteristics (e.g. flow rates). 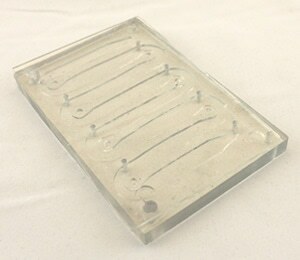 Fabrico Medical offers Class 10,000 (ISO 7) clean room manufacturing of sensitive microfluidic devices to ensure they can be produced, assembled, and packaged without contamination.